This is where we offer tips and helpful advice about everything windows, siding and doors for your home. Drafty doors are a result of poor door construction and unsealed gaps. 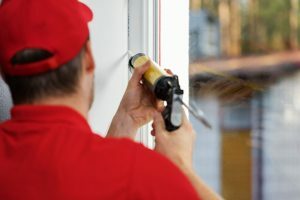 Here are some tips for fixing and preventing drafty doors. Protect yourself from home improvement scams. We go over some red flags to look for when doing any home improvement project. 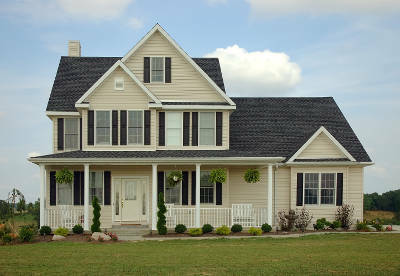 Homeowners can face moisture problems, insect infestations and flimsiness due to their siding. 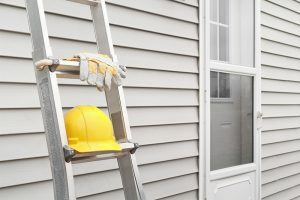 Find out about the siding maintenance differences right here. 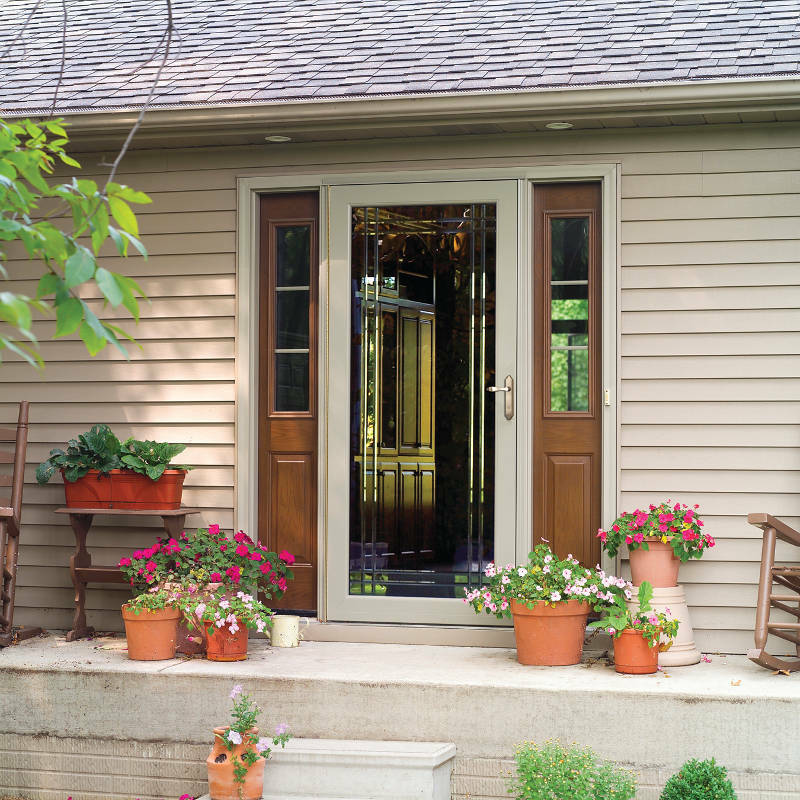 Retractable screen storm doors work year-round and these doors are appropriate for every type of home. Read all about it here. 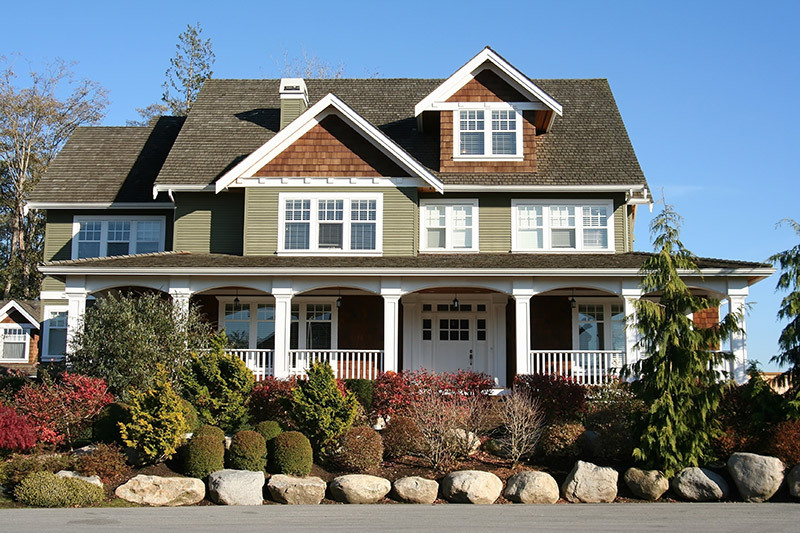 A home could have big problems down the road if you don’t have a reliable gutter drainage. 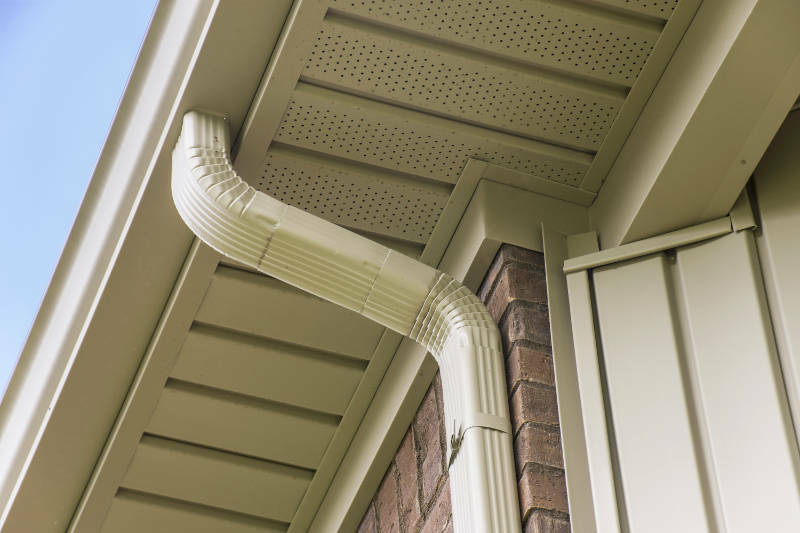 Learn all about gutter parts that make up a reliable gutter. 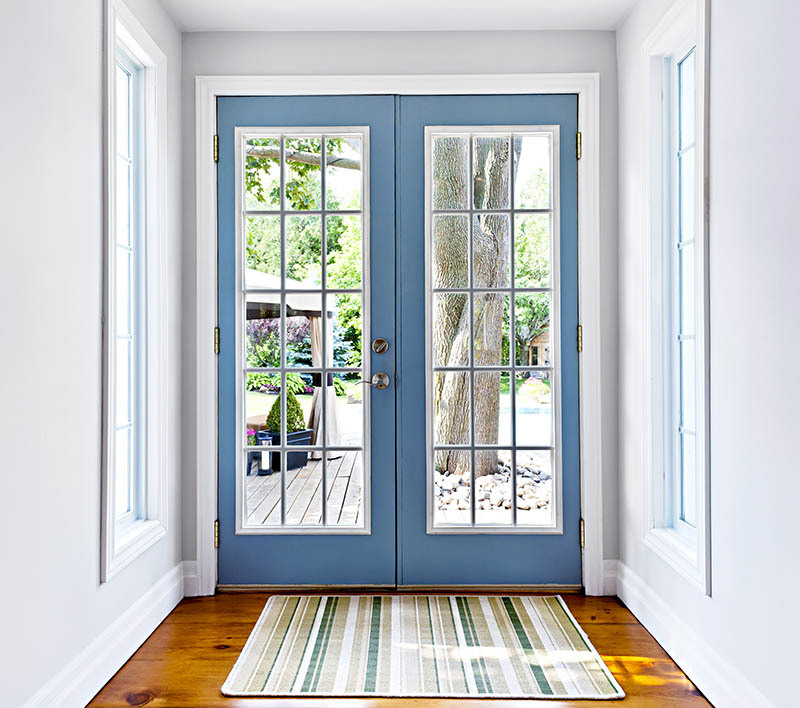 Good quality storm doors provide your home with higher energy efficiency and protection from inclement weather. 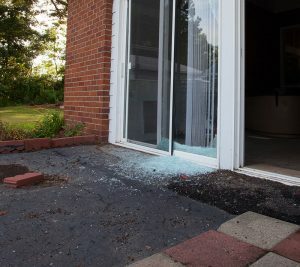 Is your sliding door sticking? Then you might have a more serious problem on your hands. Learn more about what you can do here. Custom front doors come in all kinds of styles, colors, and designs. 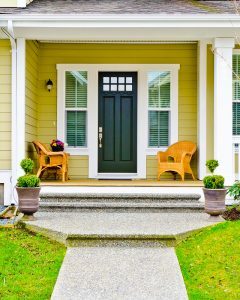 Your entry doors can seriously make or break your curb appeal. 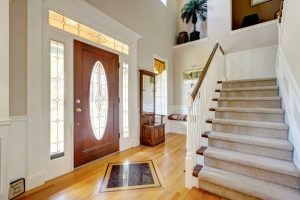 In this article, learn how you can make the right decisions for your next entry door improvement. 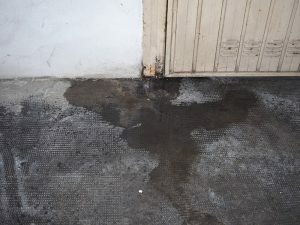 A leaky garage door can lead to many more problems down the line. Learn how to spot and stop these common problems. Properly installed siding will never show waves or warps. 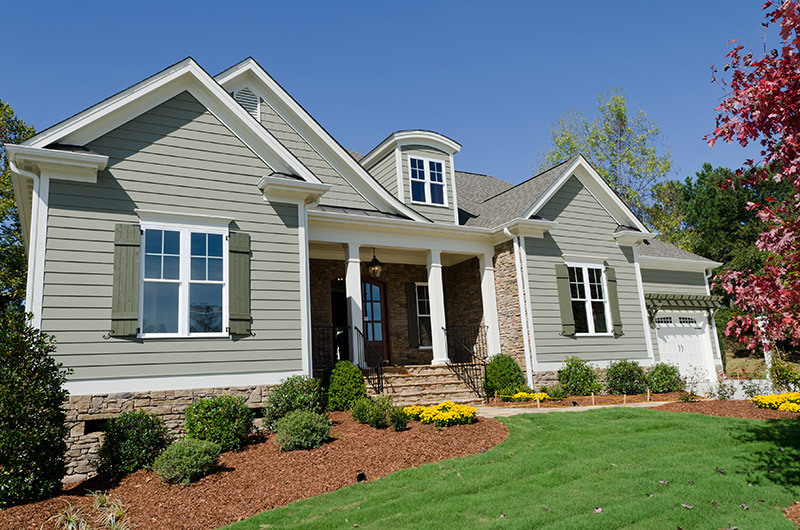 Read this article to find out what you should do with your wavy siding. 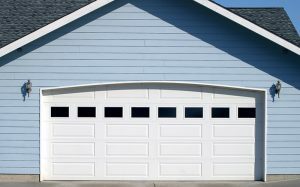 Your garage door style makes up a large part of the front of your house. 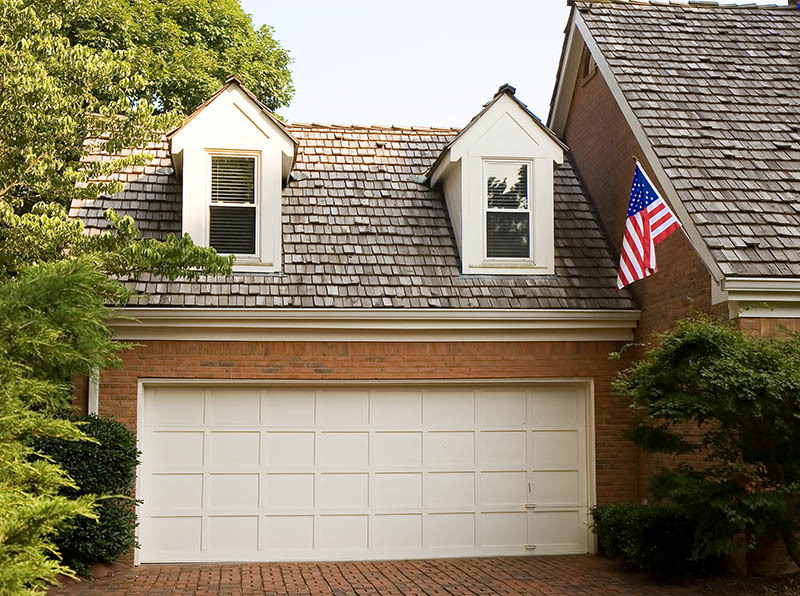 Is your garage door maximizing your curb appeal? 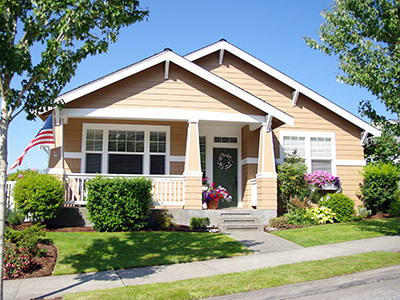 Warped siding is more common than you think. Learn all about what causes warped siding, and how to fix it. 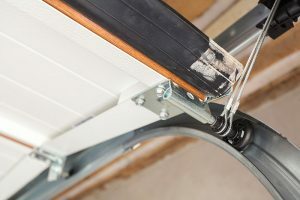 Learn why the small strip of rubber at the bottom of your garage door is a big deal. 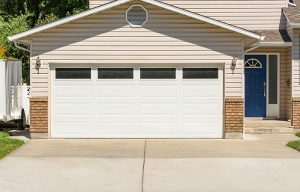 You’ll want to avoid these garage door problems at all costs. Find out why. We’ll show you how to get a sticker off of a window. 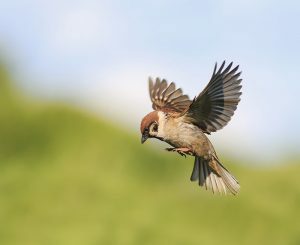 Learn how to stop birds from hitting your windows. 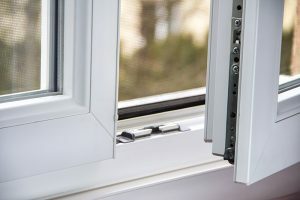 Check out the different types of window locks available and which is best for your home. 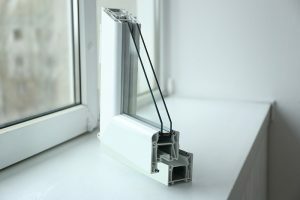 Window seal failure is a serious problem that needs to be address immediately. Read this article to learn everything you know about seal failure. 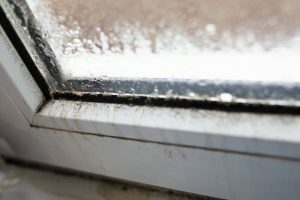 Window mold is a serious problem that needs to be taken care of immediately. Check out these tips to help you get rid of it. 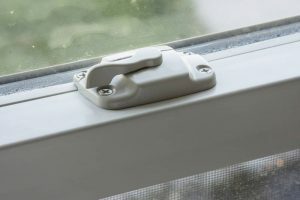 Learn how you can fix a stuck window. 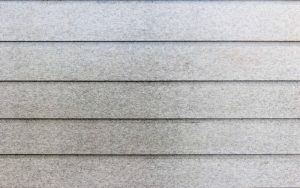 Learn about the many different fiber cement siding problems. 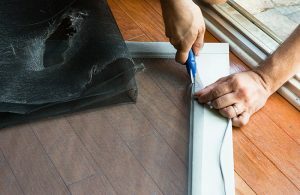 Here’s why you should leave window replacement to the pros. Learn what to do in the event of a broken garage door cable. 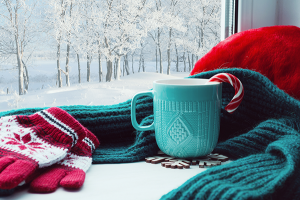 Do you have a basement going to waste and you only use it to store old clothes and holiday decorations? 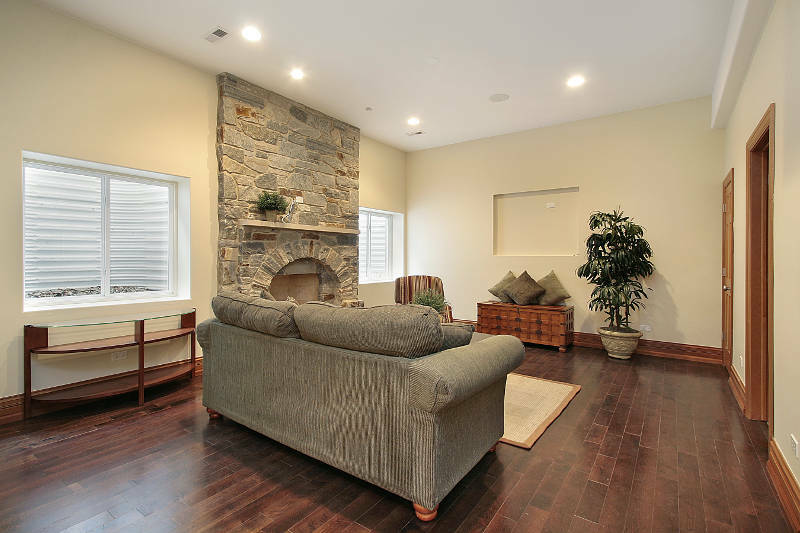 Finishing your basement is the perfect way to turn that space into something more useful. 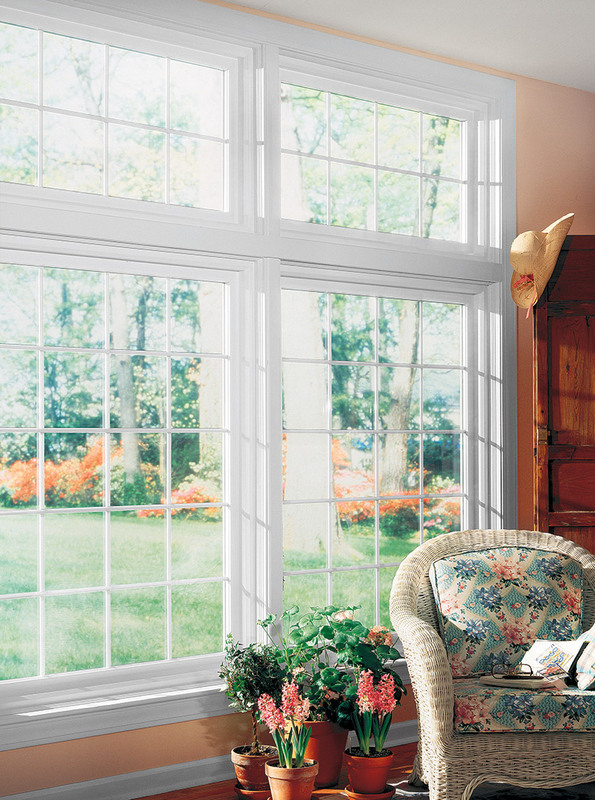 Learn all of the benefits offered by low-e windows. Find out what you need to create your dream home library. It’s easier than you think! 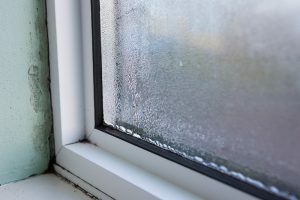 Double pane windows offer so many benefits that are often overlooked. We’ll go over a few of them in this article. See how kick plates can enhance your storm door. It’s important to know the solar heat gain coefficient of your windows. We’ll go over what that means in this article. 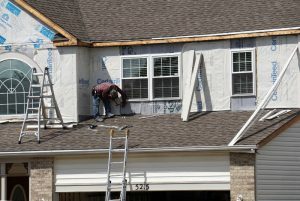 We’ll show you how to find the best vinyl siding contractors in Chicago. Check out these awesome modern home design ideas. Stop moisture problems from damaging your home and causing health problems for your family. 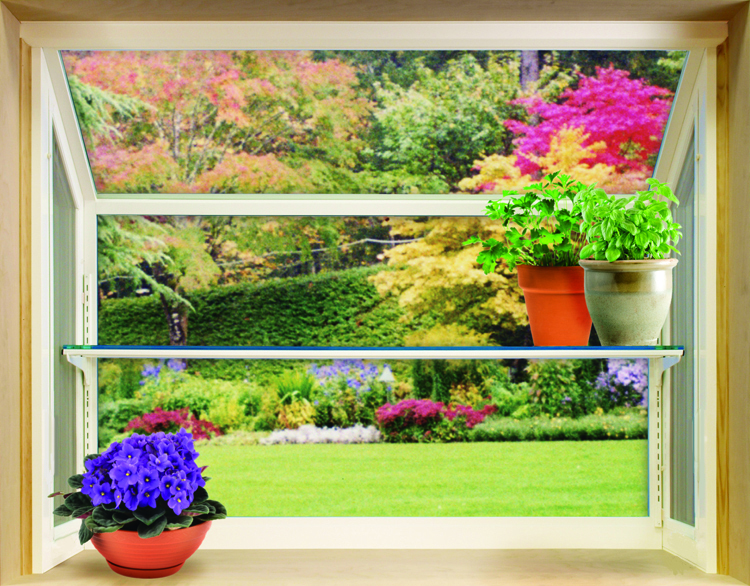 Find out everything you need to make the best window planters for your home. Check out these 7 awesome garage accessories! Are you looking to create the ultimate hangout spot. 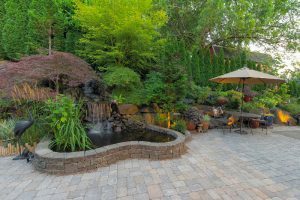 You’ll be able to with these 8 backyard ideas. 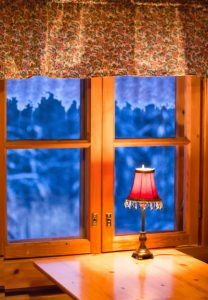 Learn how you can fix drafty windows and make your home more energy efficient. 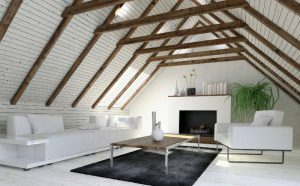 If you’re looking for extra space in your home, you’ll want to see these attic conversion ideas. 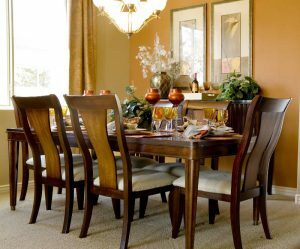 Are you looking to improve the look of your dining room? Then check out these dining room makeover ideas. You don’t have to be limited in design because you’re limited with space. Learn how to make a small room look bigger here. Do you not know the best vinyl siding cleaner options available? You’re in luck. 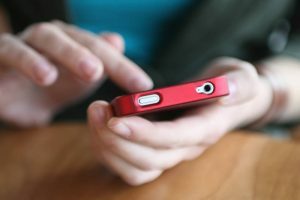 Check out this article for our favorite options. You can’t get the same benefits from standard, run of the mill replacement windows as you can with custom windows. Learn more here. Do you need a change in your kitchen? Then you’ll want to check out these 9 kitchen remodeling ideas. Get an in-depth look at the different parts of a door. Your home’s foundation is extremely important. Learn how you can spot any problems. 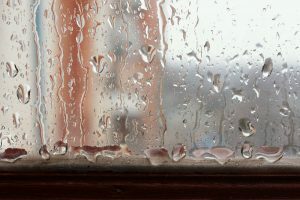 Storm windows vs replacement windows has been a longstanding topic discussed by homeowners. We’ll go over which is best for your home. 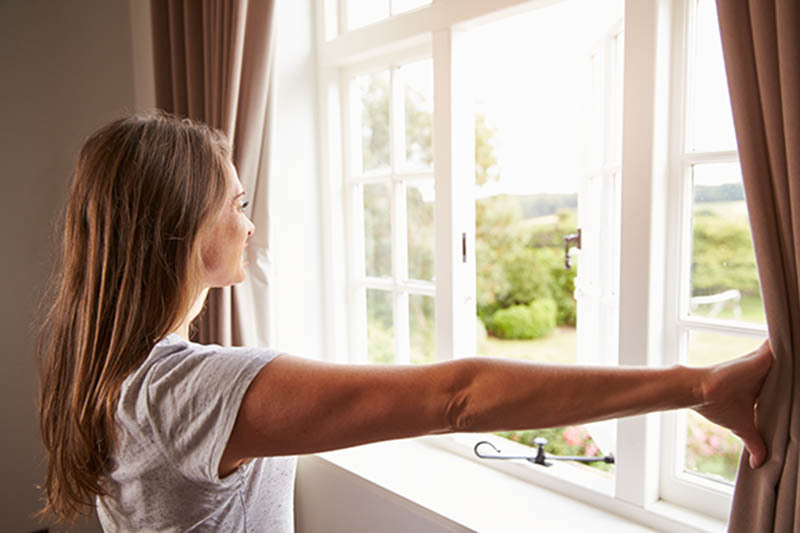 Practicing good window safety habits is crucial to keeping everyone inside out of harm’s way. We’ve come up with 6 window safety tips you must follow. 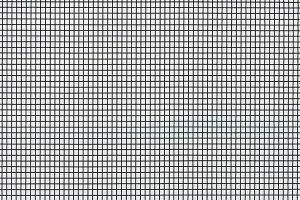 Understanding the energy ratings for windows will help you get the best windows for your home in Chicago. Learn more here. It’s important that you know when to replace your windows so you don’t lose out on home value, curb appeal and money on monthly bills. Learn more here. 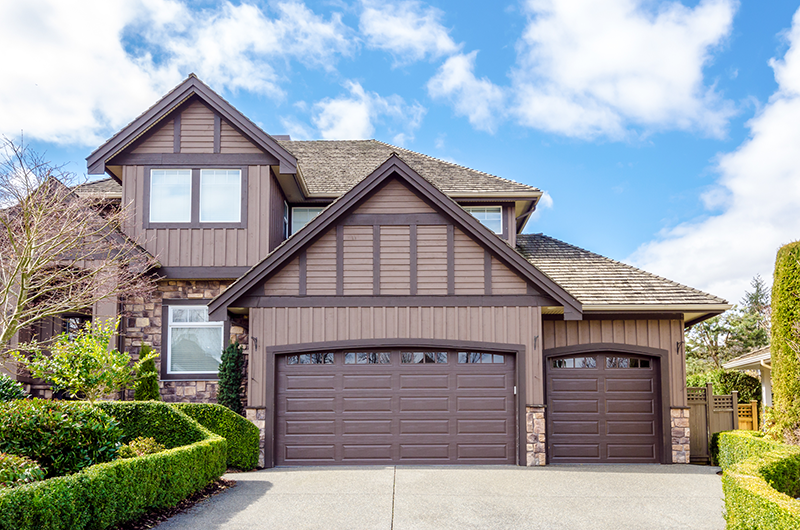 It’s important to have a properly functioning garage door for safety, curb appeal and energy efficiency reasons. We’ll tell you when it’s a good time to repair or replace your garage door. 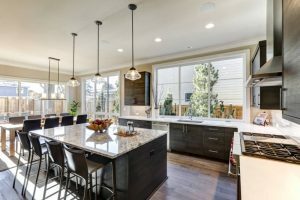 Home remodeling is a big process and we’ll go over everything you need to know so you can choose the right company for your project. Don’t ignore what your home is trying to tell you! 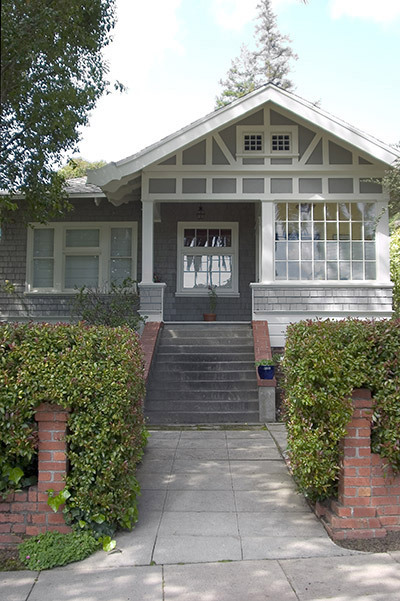 Learn how you can avoid costly home maintenance mistakes. Patio door security is a crucial element of burglar prevention. Learn how to maximize your patio door’s security with these helpful tips. Your entryway is the first thing you see when you enter and leave your home. Make your entryway beautiful with these ideas. 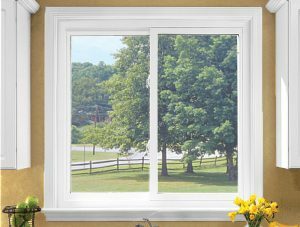 Learn about the different parts of a vinyl window. Make your garage a functional and beautiful area of your home with these 7 great garage improvement ideas. 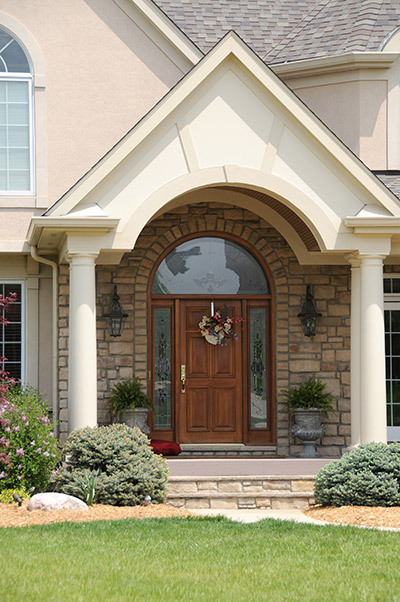 Figure out which is better for your home in Chicago: fiberglass or wood entry doors. 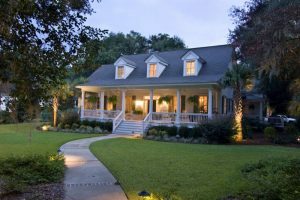 Improve your home’s curb appeal with these 10 front porch decorations that will enhance your entryway. 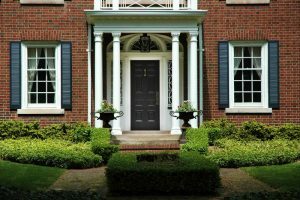 Learn how you can get the best doors in Aurora, IL. Steel entry doors are perfect for your Chicago home. They have many benefits that will help your home function efficiently. 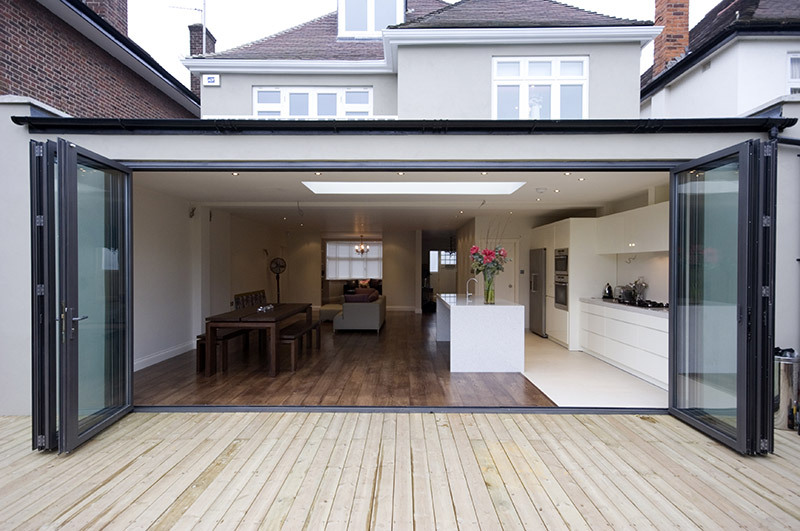 Don’t settle for any garage door company. 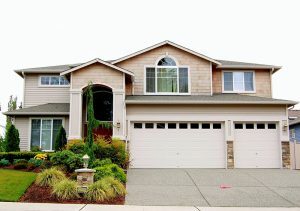 You need to find someone you can trust for such a large home improvement project. 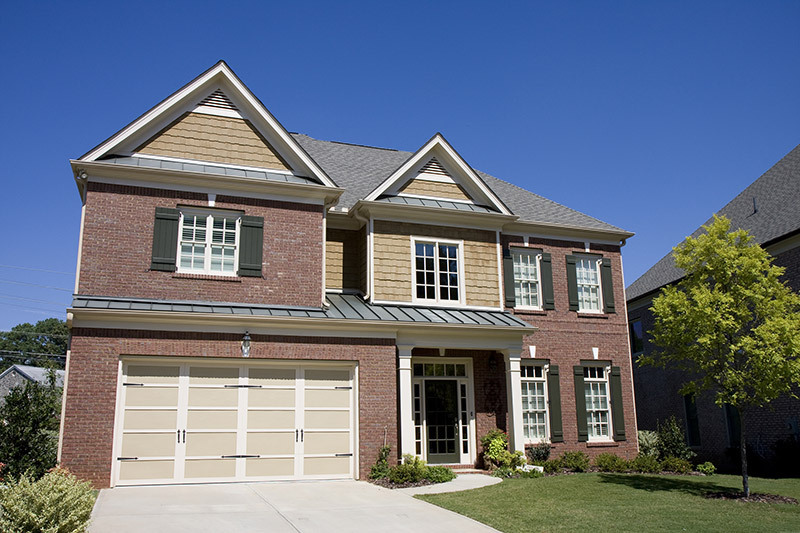 We’ll help you find the best garage door company in Chicago! The first step in replacing your siding is knowing what your options are. 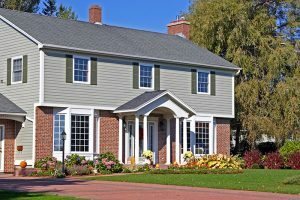 Our guide to siding in Naperville has all of the answers to your questions including siding styles, colors and installation. 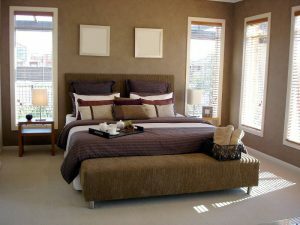 Learn what windows styles are best suited for your bedroom. Kitchen Windows: Which Style is Best? 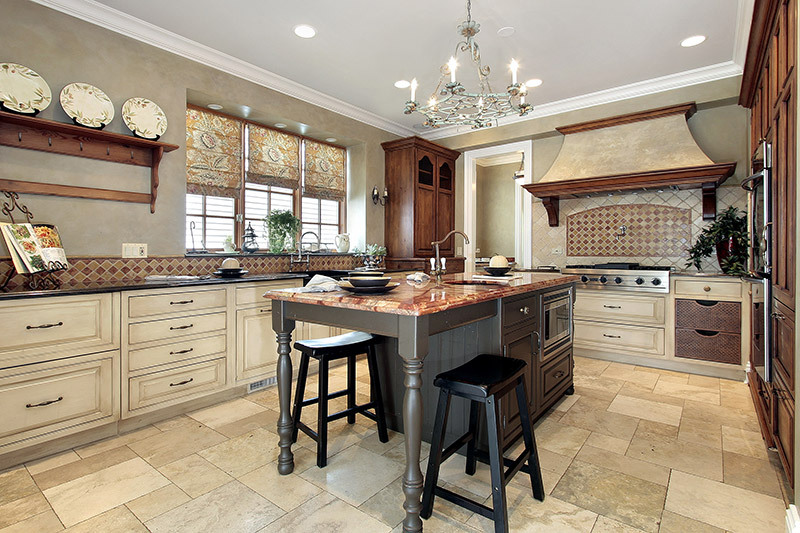 Learn which windows styles are best suited for your kitchen. 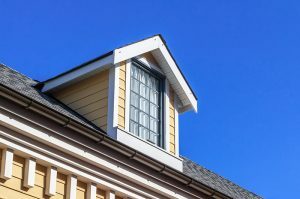 Replacing dormer windows doesn’t have to be a painful experience. Let the experts at Feldco Chicago show you what options you have available for your dormers in this guide. Basic entry door locks are a thing of the past. Check out these 8 cool smart door locks you’ll want for your home. An insulated garage door can help your home in so many ways. 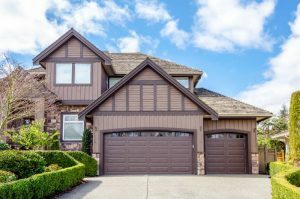 Our garage door experts found 5 of the most important reasons why you should consider buying an insulated garage door for your Chicago home in this article. Read on to learn more! You might think that you have to hire someone to replace your old doorbell, but you may be wrong. Generally speaking, doorbells are easy to replace and install and can be done safely by yourself. In this article, we go over how to install a doorbell yourself in short order. 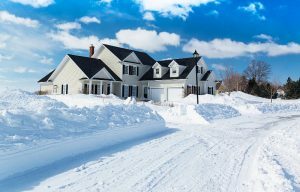 Don’t let your home freeze this winter. 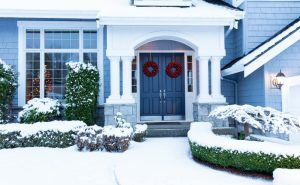 Learn 6 ways you can weatherproof your home. 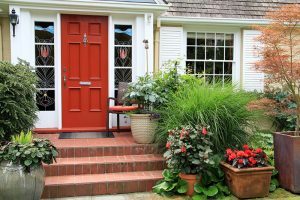 Learn 10 different ways to incorporate front door planters into your outdoor design for a simple and inexpensive way to make your entryway come to life. In the market for shake siding? 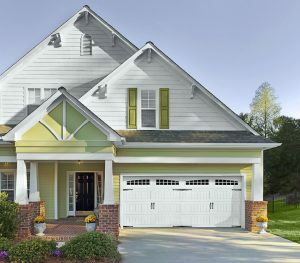 In this article, we make the case for vinyl shakes vs. wood shakes and list why vinyl shake siding is inherently better for your house and for your wallet. 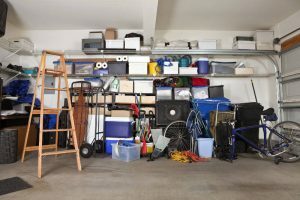 Learn about what items should not be stored in your garage and keep your home and family safe. 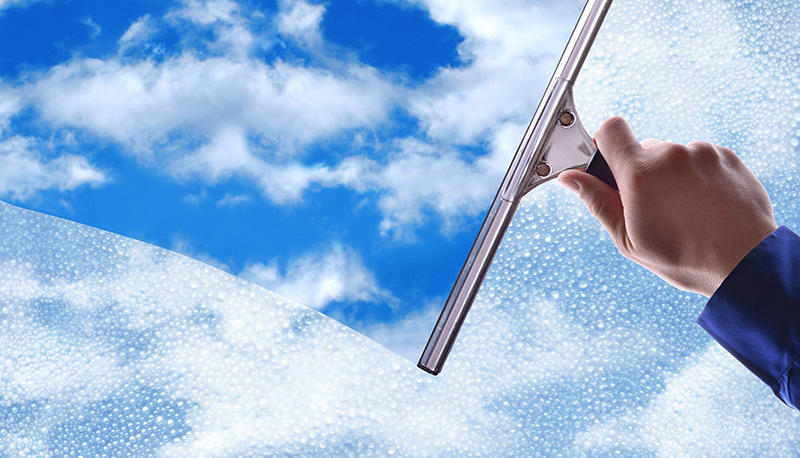 There are a number of ways to clean windows, but which way is the best? Well, you’re going to find out in this article. 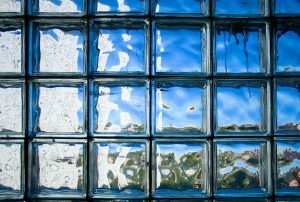 From vinegar-based cleaning solutions, paper towel vs. squeegee and even baby shampoo, we’ve found the way to get perfectly clean windows that sparkle. Let us show you how we did it. 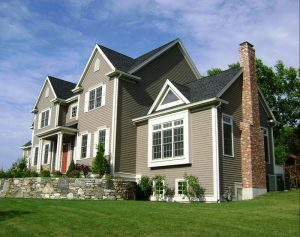 There are many Chicago siding companies so it may be overwhelming to pick one for your replacement siding job. We’ll help you figure out which company is best for you. 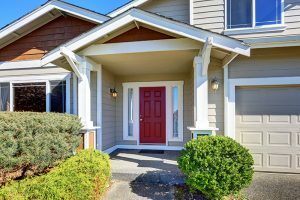 Looking for a new entry door? Look no further than fiberglass front doors. 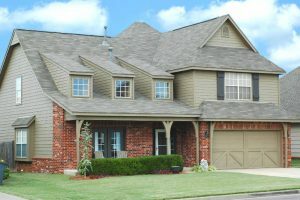 They offer a combination of performance, value, durability and add great curb appeal to your home. 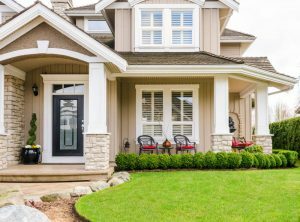 Check out here why fiberglass front doors the best option for your next home improvement project! Have you purchased new windows and doors for your home? You may be eligible for a tax credit from the IRS worth hundreds of dollars. Read more to find out the details and how you can apply for these government incentives! 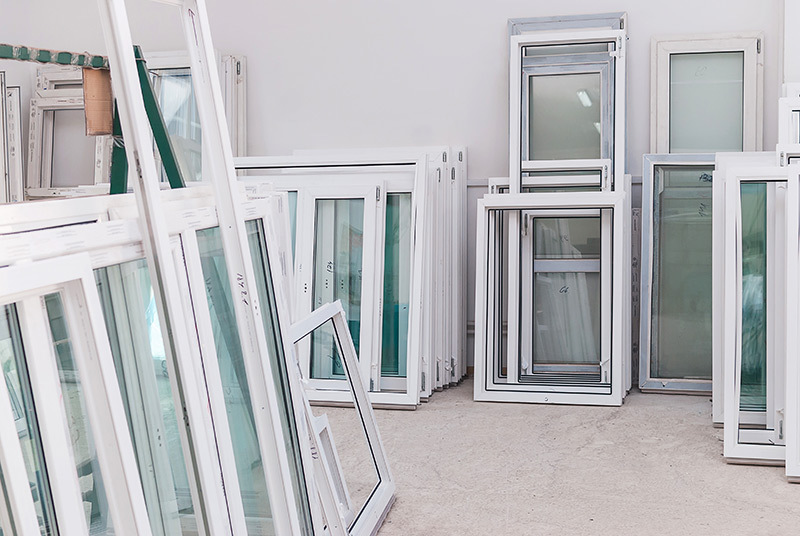 With all of the choices you have, it isn’t easy finding the best windows in Chicago. Don’t worry, we’re here to help you find what you’re looking for. Don’t let a noisy garage door disrupt your life. Here are 8 times on how you can quiet your garage door. While some homeowners attempt to install new gutters on their own, you are almost always better off choosing to hire a professional. 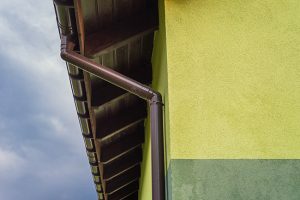 Find out why it pays to hire a pro to install gutters. 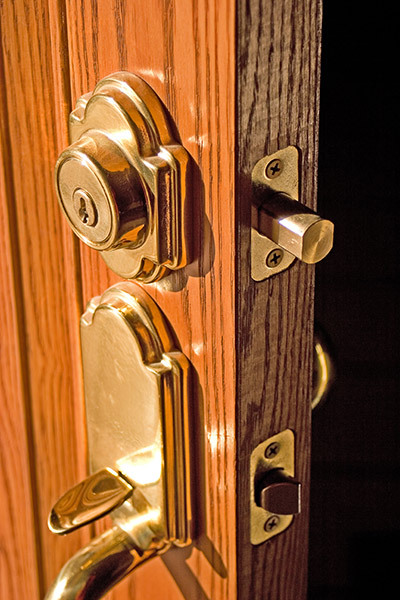 Don’t be the victim of a burglar – keep your home and your family safe with an entry door lock. 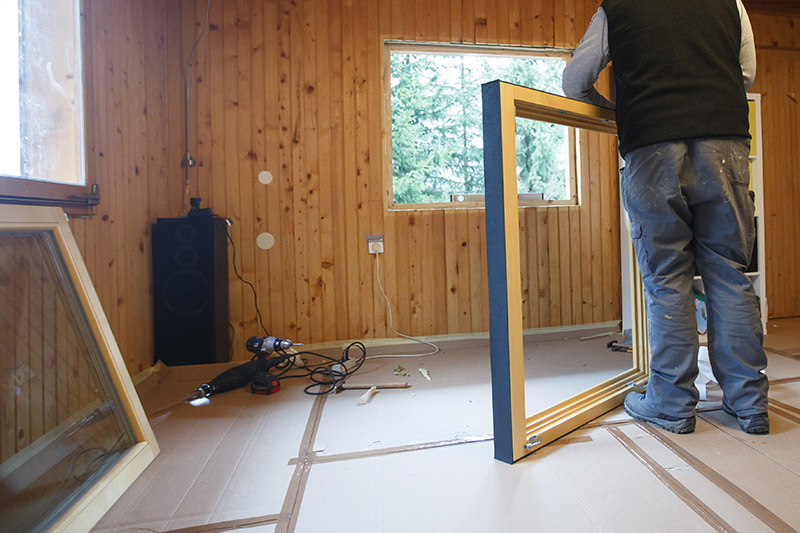 Your replacement windows need to make sense for where you live. In a Midwest town such as Joliet, you need a durable, energy efficient window. 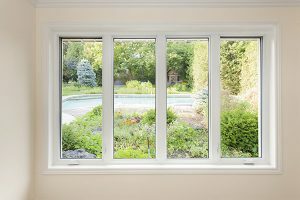 Learn what you need to know to get the best windows in Joliet, IL. Garage door installation isn’t easy. There are many things that could go wrong that will effect the quality of the door. 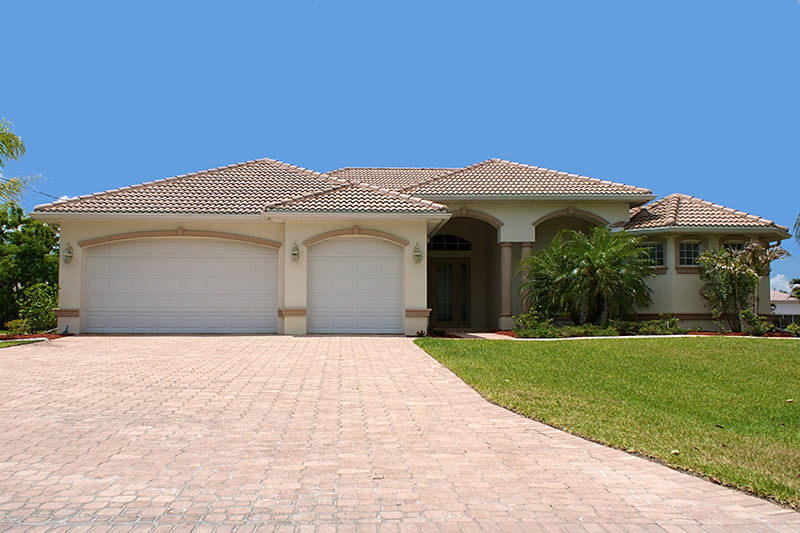 We’ll show you why you want to hire professionals for your garage door installation in Chicago. 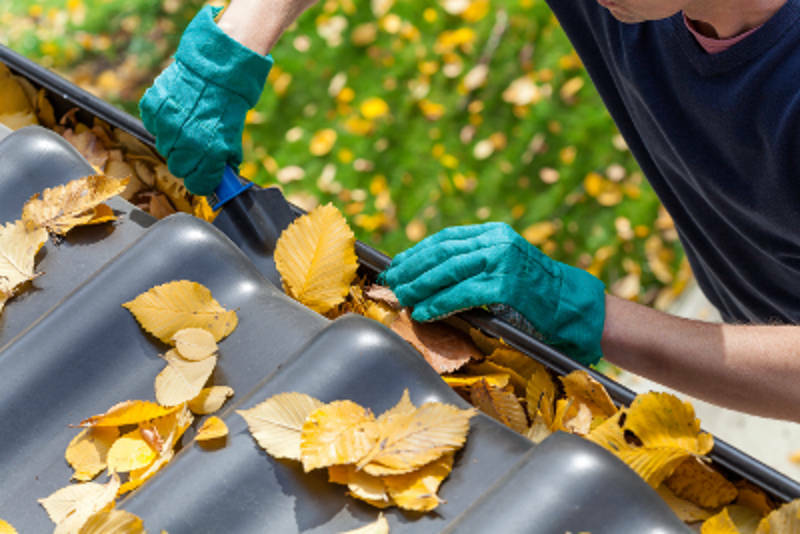 Learn how to properly clean your gutters without the help of a professional! Learn everything you need to know about front door installation! It’s important that the installation is done right. This could mean hiring a professional. Beautify your home’s exterior with these vinyl siding color combinations and style ideas! 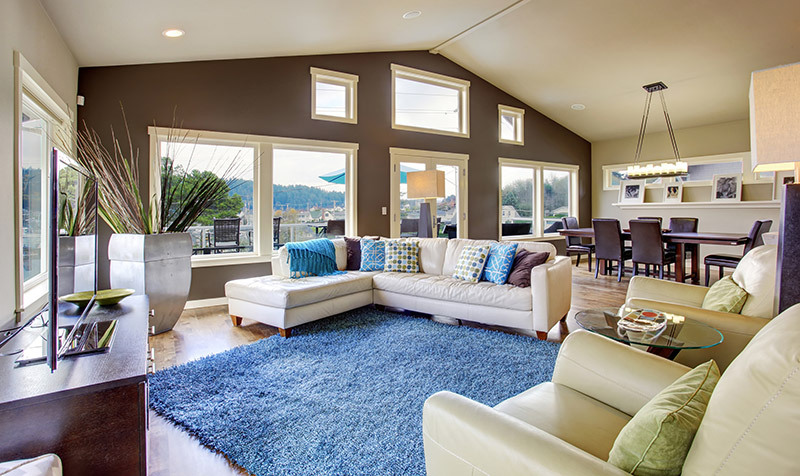 Since spring has sprung, it’s time to clean typically one of the messiest rooms in your home – the living room. 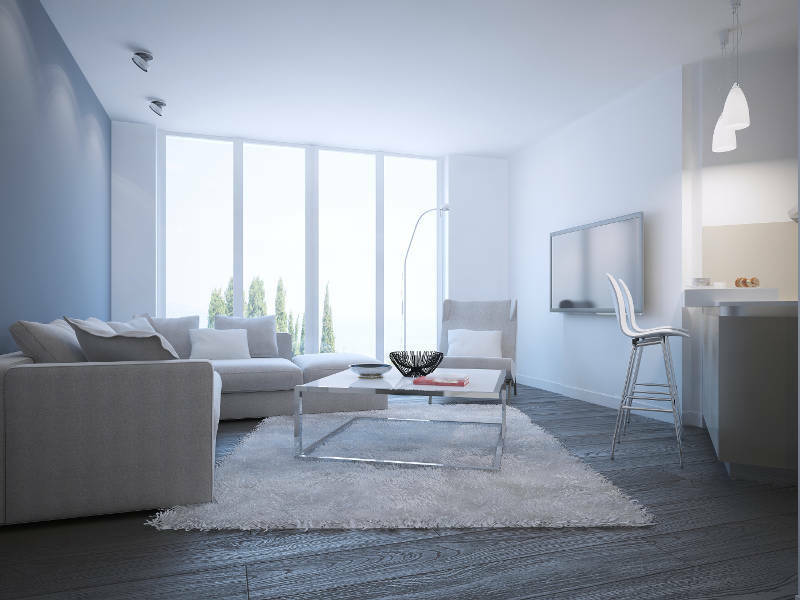 Follow this living room cleaning checklist to create a space anyone can enjoy and relax in! 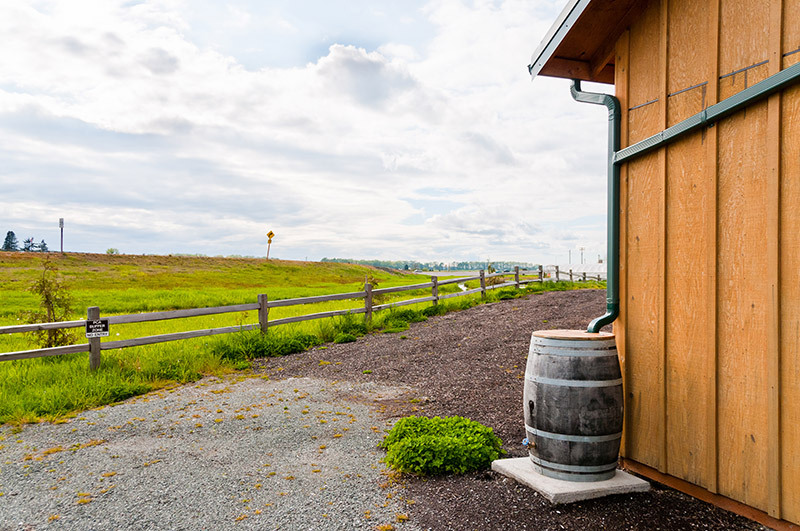 If you’re looking to save some money on your monthly bills and prevent the pollution of local bodies of water, rain barrels are a great option! Rain barrels collect rainwater that can be used to water plants, wash your car or windows. With flowers blooming and bird chirping, there’s no better time to clean your bedroom and bathroom than now. 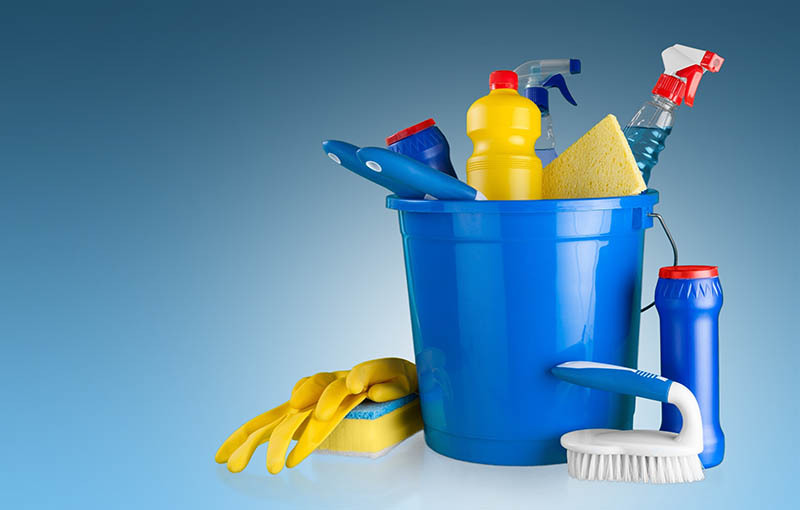 Follow these spring cleaning tips to bring your home back into tip top shape. 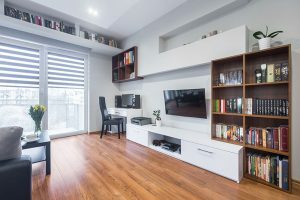 If your home needs an extra room maybe for a home office, or just a little extra storage it’s time to consider building a garage living space. 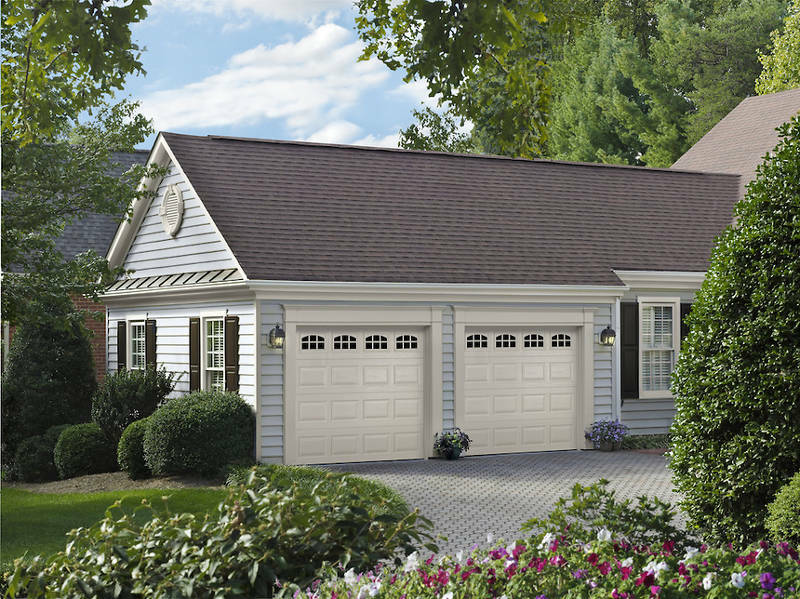 Your garage can become a part of your home and with a few new details it will be the perfect spot to spend a beautiful summer day. From incorporating your garage door into your design to installing new windows there is plenty of options. 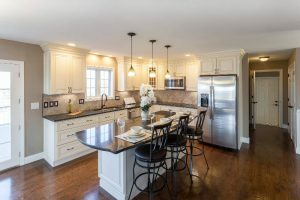 Are you looking to remodel your home? 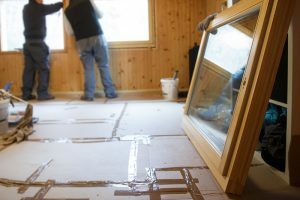 Check out our ideas we came up with and get started on your next home remodeling project today! 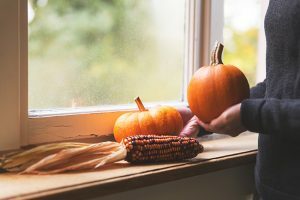 There are many unexpected benefits of replacing a basement window. 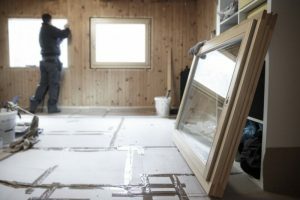 Check out why replacing your basement window is a home improvement you need now! 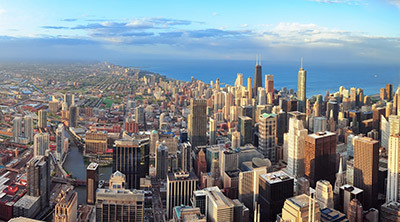 Learn 10 benefits of replacing your windows and doors in Chicago. 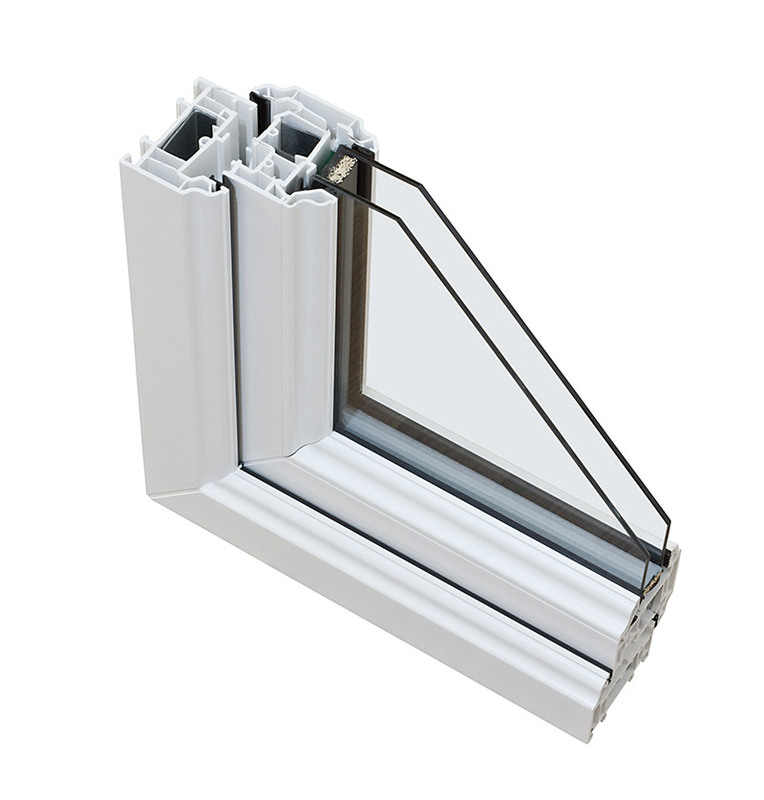 We’ll show you everything you need to know about argon windows. Are you considering replacing your siding? Find out why insulated vinyl siding makes an awesome replacement siding option for your exterior. 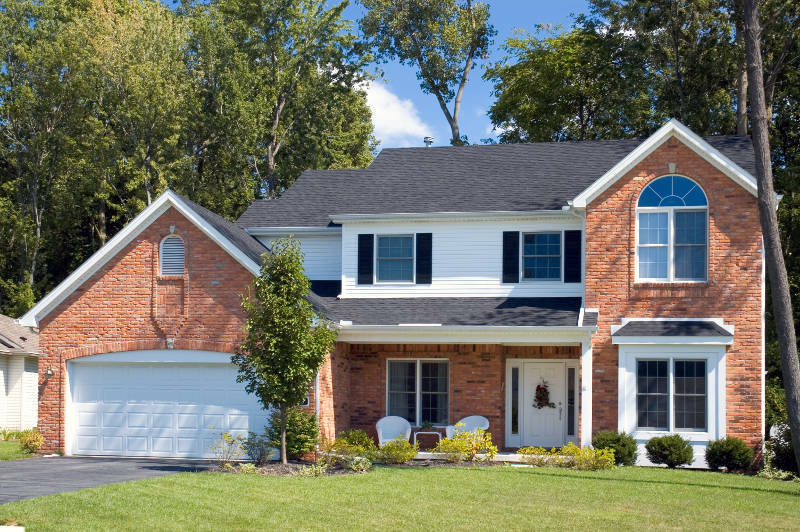 Learn about the different vinyl siding styles and get the right one for your Chicago home. 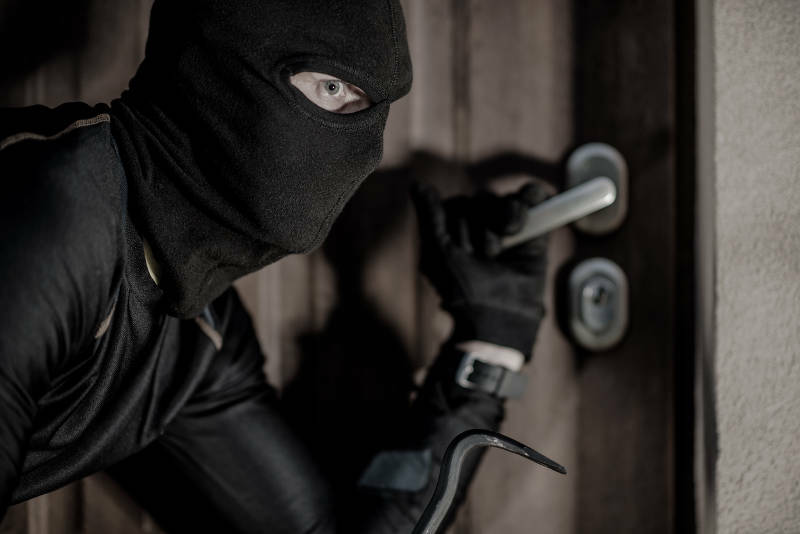 Are you taking the proper measures to protect your house from home invasion? Learn how to keep your home safe with these home invasion prevention tips. 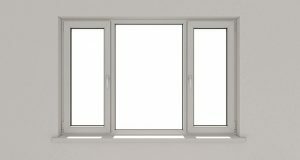 Are you looking for replacement windows in Aurora. We’ll show you everything you need to know before making a decision. Looking to change up your entry door design? We’ve put together a list of 10 inspiring entry door designs. Choose what looks best with your home’s style and go from there! Your door will be sure to look personalized and unique. When choosing a front door color the process begins with evaluating colors which will complement the exterior of the home. Select a color and explore multiple hues both indoors and in natural sunlight to begin. Those who choose a hue that creates a contrast with the exterior will create a stunning entrance for their home. 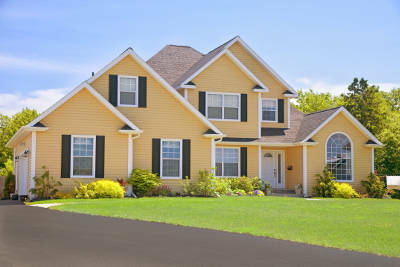 Keep your gorgeous vinyl siding looking its’ best with these handy mold prevention tips! Take a dark room and give it some life with these awesome home brightening tips! With just a few quick fixes you can add light and energy to your dim home. 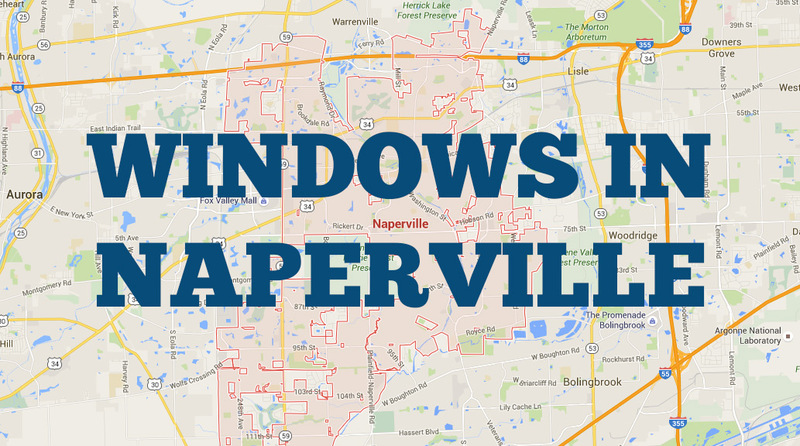 We have had many window installations in Naperville over the years and now we’ve put together a list of 7 facts that every Naperville homeowner should know before replacing windows. 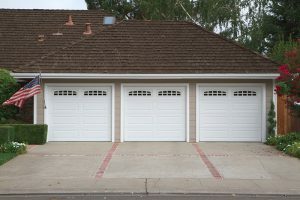 Learn about garage door anatomy and the different parts of a garage door. 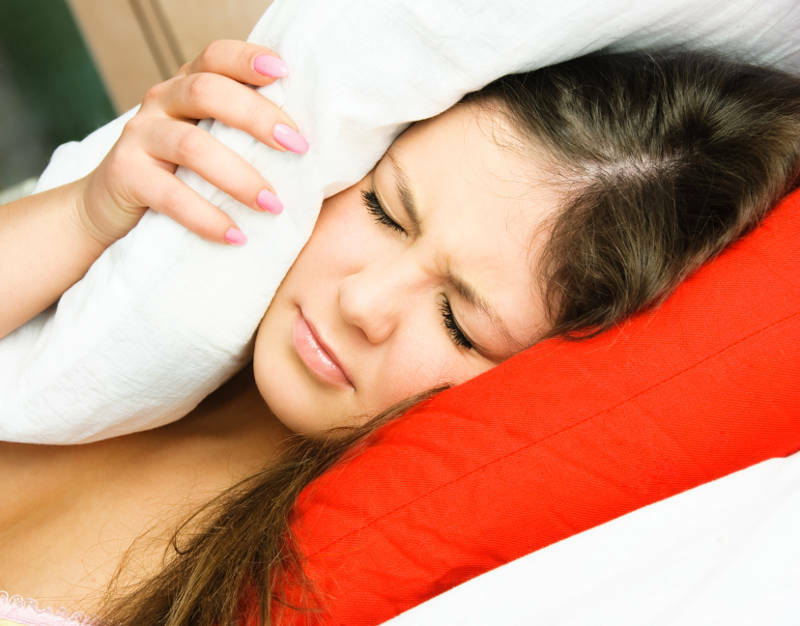 Finally get the peace and quiet you deserve with these expert home soundproofing tips. 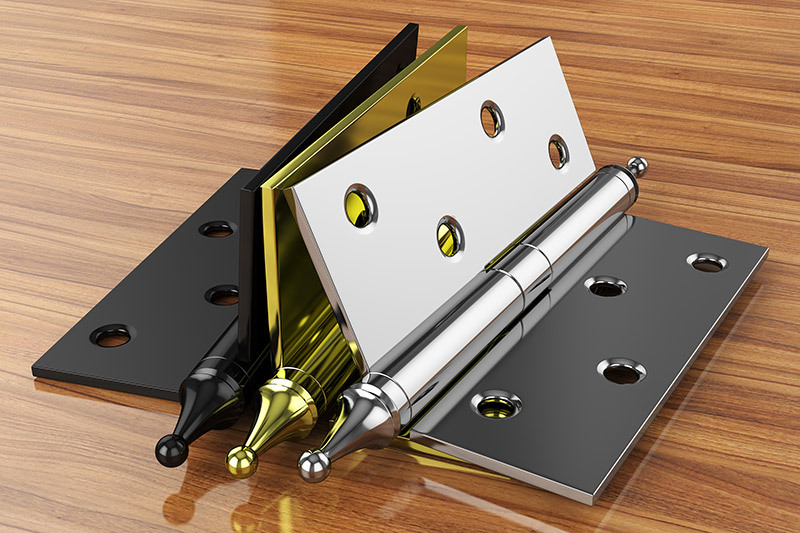 There are many different types of door hinges. Don’t get overwhelmed by the different styles because we’ll show you everything you need to know about door hinges. 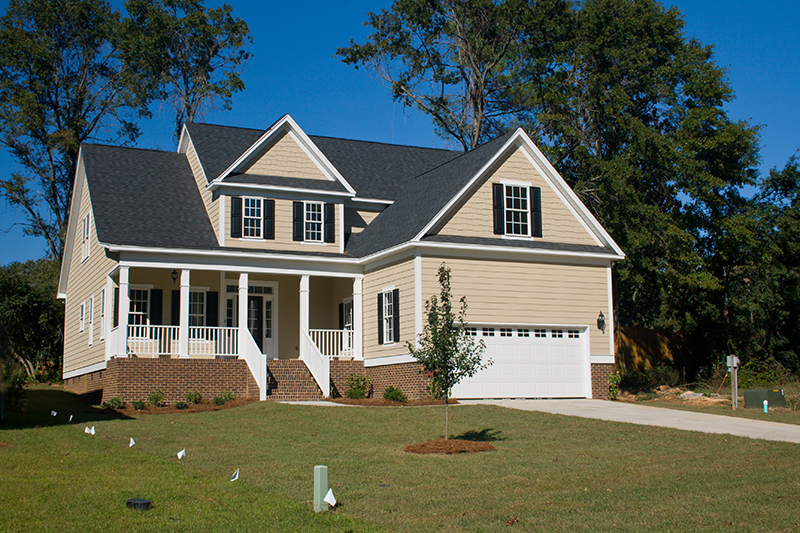 How do you know when it is time to replace your siding? 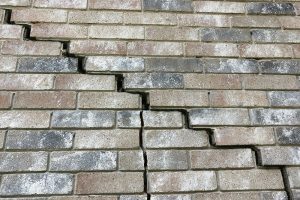 There are some signs that immediately meet the eye, such as the presence of cracks, mold, holes. 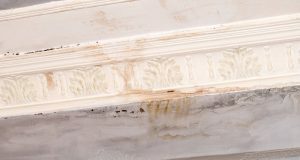 However, it is important to remember the inconspicuous damage resulting from dry rot or warped siding. 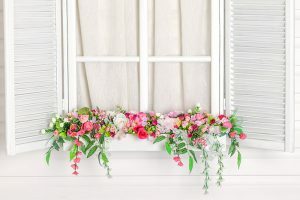 12 amazing ways to bring your used windows to life! Find the perfect repurposed window idea for your home here. 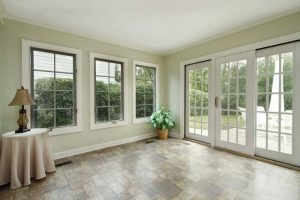 What are the Benefits of Installing French Doors? There are many benefits to installing french doors in your home. Check out why french doors can be the perfect addition to your home! 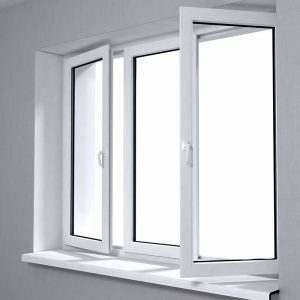 Looking for the best vinyl replacement windows in Chicago? 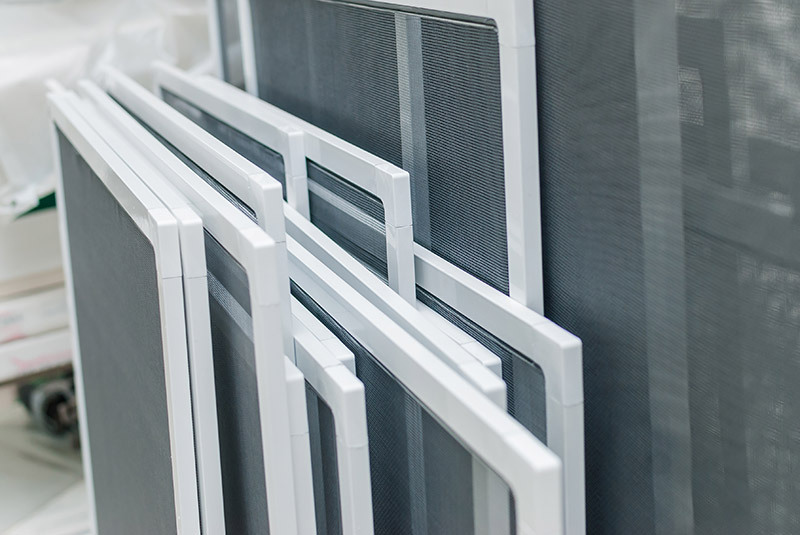 We’ve put together a guide to help you decide on your vinyl window purchase in Chicago. 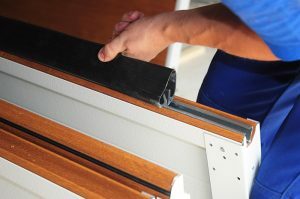 If you want the perfect replacement garage door, you’ll need to take the proper measurements. We’ll show you everything you need to know about garage door measurements. 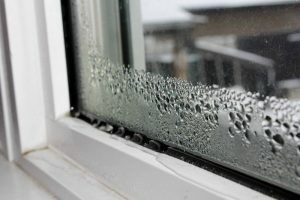 Learn what is window condensation and how you can prevent it from happening. 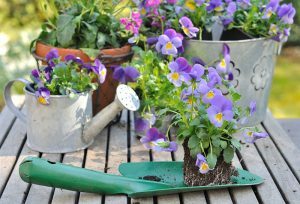 Looking for ways to fill your garden window? We’ve come up with a number of creative ways to turn your ordinary kitchen garden window into a main attraction. 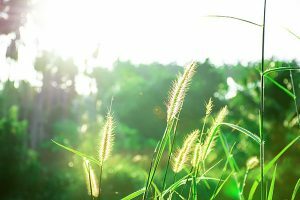 There are many benefits of going with an energy efficient window. 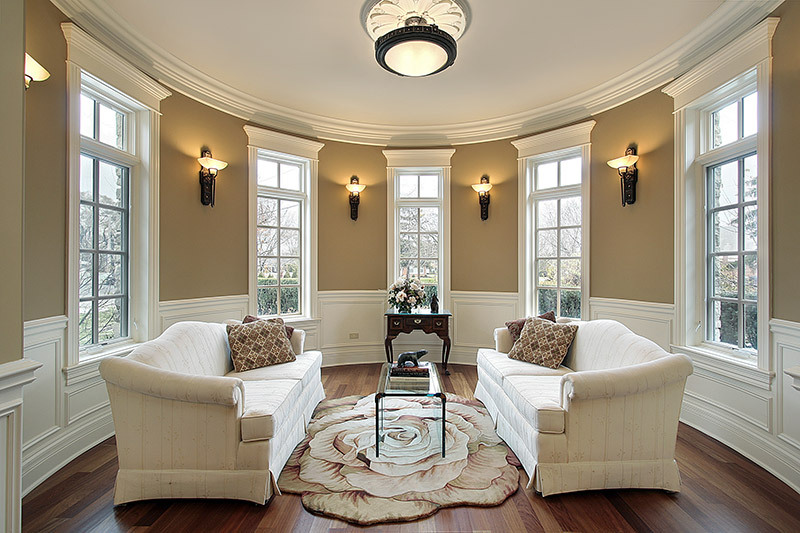 Check out how they can improve your home! 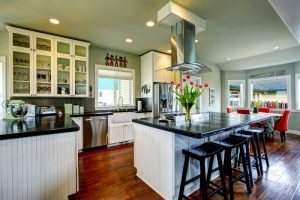 Once you have finished spring cleaning your kitchen appliances, it’s time to clean the rest of your kitchen. 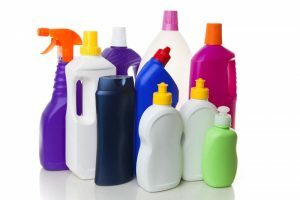 Learn how to deep clean your kitchen cabinets, counters and floors. 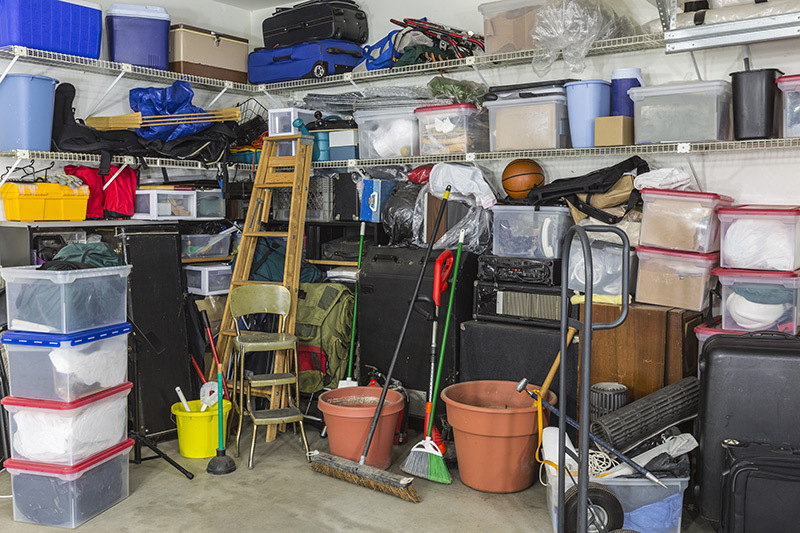 Has your garage become overly cluttered with odds and ends? 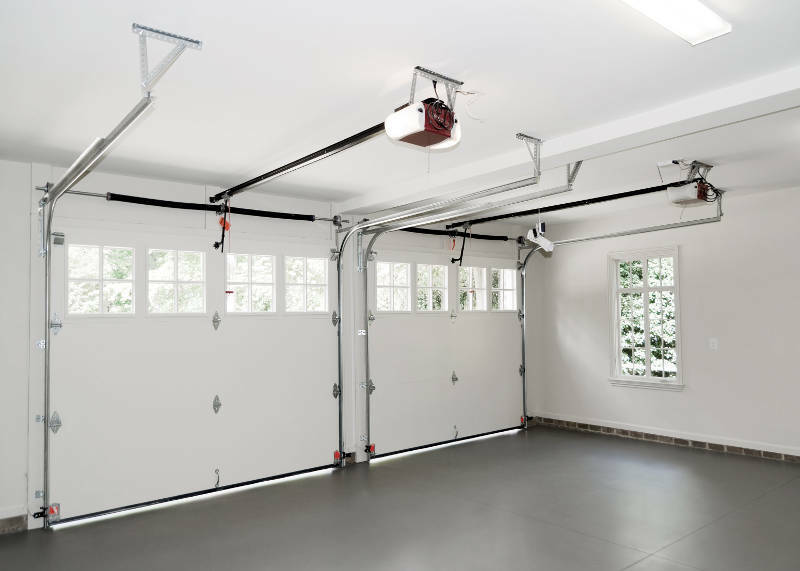 Reinvent your space with these ingenious tips on how to organize your garage. We’ve got the best advice on what to look for in a new patio door in Chicago. From hinged french patio doors to sliding patio doors, we’ve got you covered on all the styles and types of patio doors available. Spring is finally here in Chicago and now is a perfect time to change up the look of your windows. If you’re looking to make a statement with your window treatments, check out our trendy spring window fashion ideas! Do You Know the Best Way to Clean Vinyl Siding? 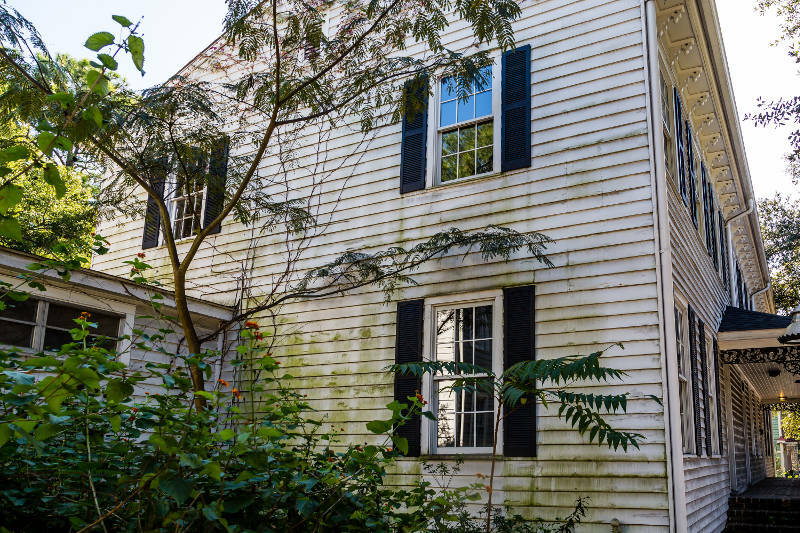 Don’t let your siding become dirty and unkempt. We’ll show you the best way to clean vinyl siding so your home looks its best! 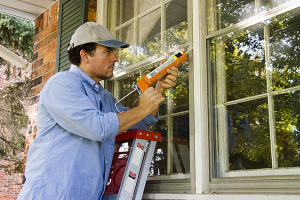 Your new replacement windows are only as good as the window installation that was performed. 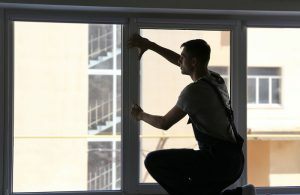 We go over some of the main things to look for when getting your windows installed by a window installation company in Chicago. 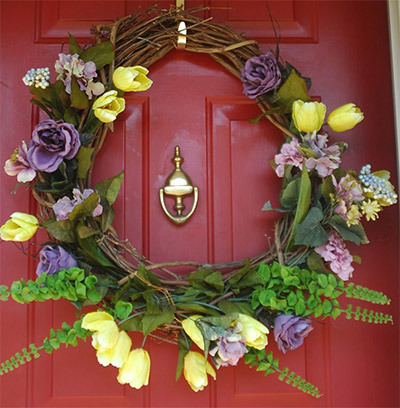 If you’re looking to take your entry way to the next level this spring, check out our ideas for spring door decorations! Getting the right windows for your Chicago home is crucial. Learn why vinyl windows are better for your Chicago home than wood windows. There are many different styles of windows. Each of them work a little bit differently and have some specific benefits. 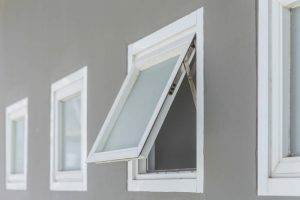 If you’re considering replacing your old windows, make sure to learn about how each window works as we describe in this article. 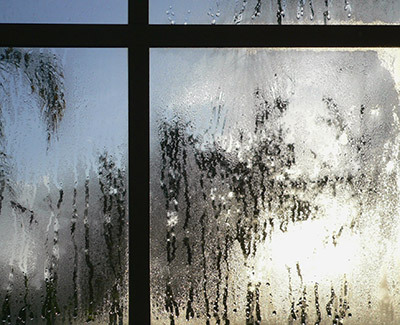 Many homeowners forget to clean their screens when washing their windows. Don’t be like everyone else. We’ll show you how to wash your windows like a pro. 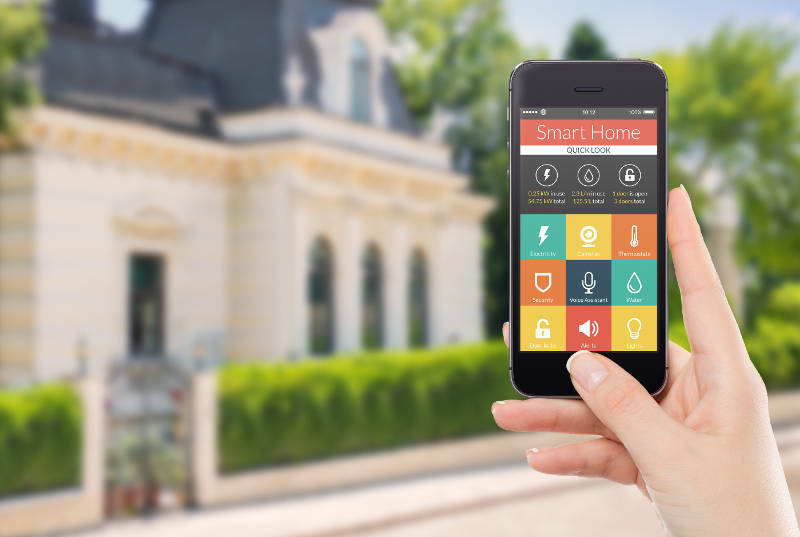 Smart products will add convenience and security to your home. Check out our list of 10 cool smart products you’ll want! 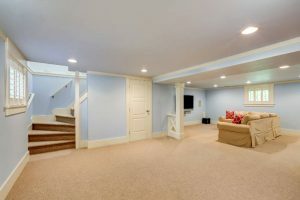 Your basement can be more than just a place for storage. It can be anything you want. 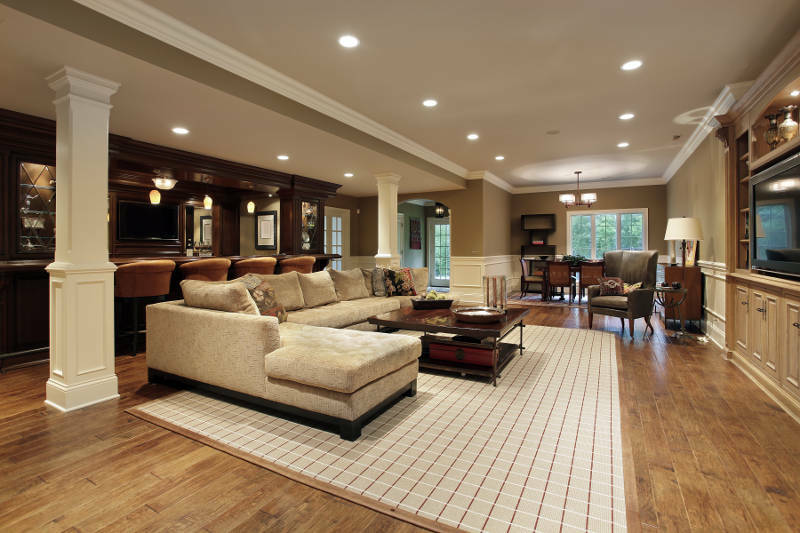 If you’re looking for basement remodeling ideas, we have cool ones here! Not all Chicago window companies are the same. 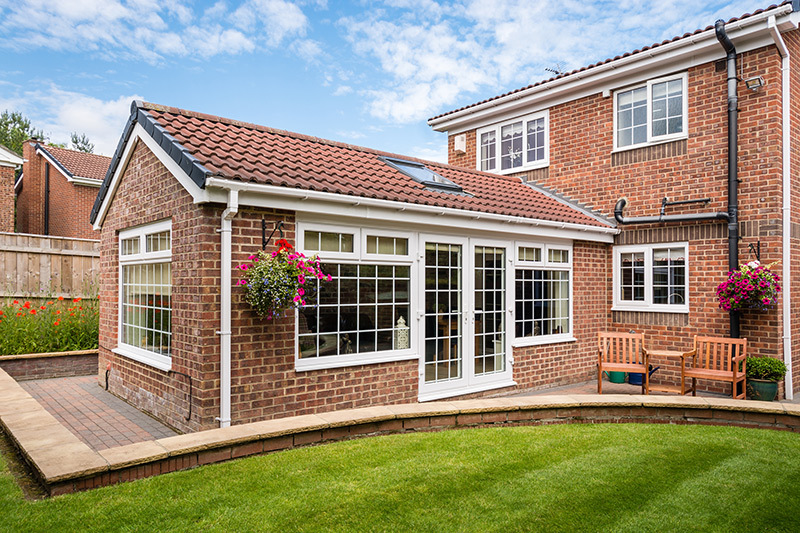 Before you make any decisions about your replacement windows, there are a few questions you need to ask. 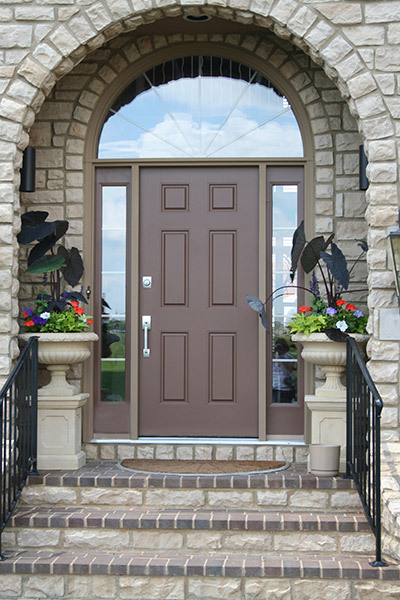 A storm door can be a great addition to any home’s front door. They add a layer of security, weather protection and even insulation. 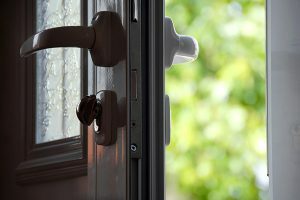 We’ll show you the types of storm doors available and what you should look out for when buying a new storm door. 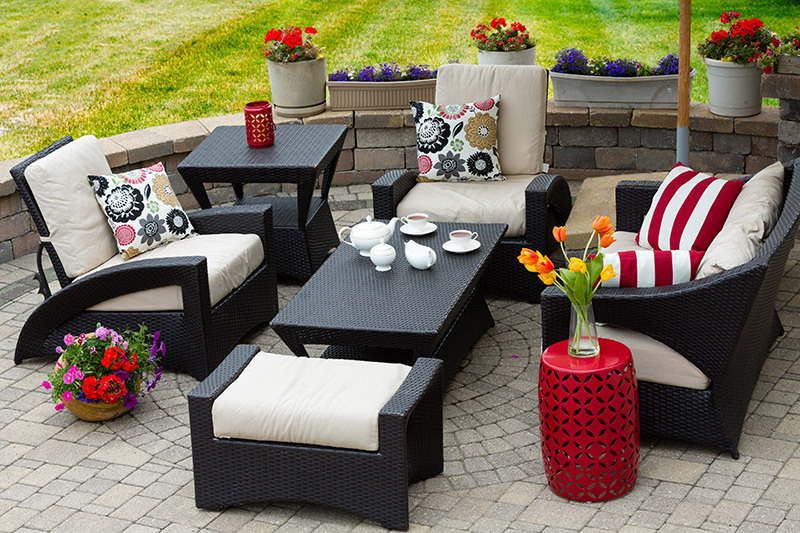 Looking for some patio inspiration? We think you should take a look at these 10 awesome ideas for Chicago patios we’ve put together. 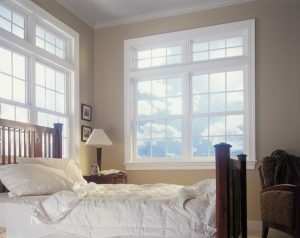 Energy Star windows designate energy-efficient windows that can save you money on your heating and cooling bills. 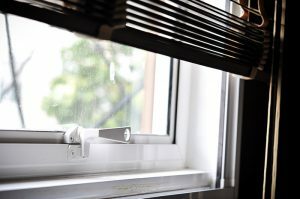 Read this article if you want to know what’s behind an Energy Star window. 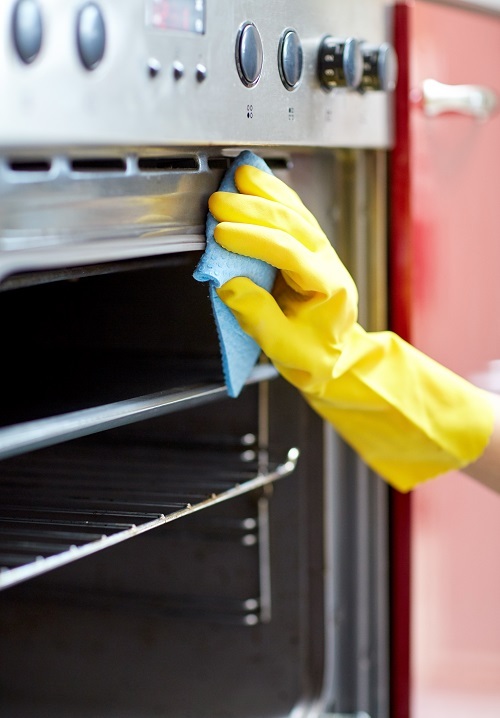 Start your spring cleaning off right by tackling two of the dirtiest offenders in the kitchen: the refrigerator and oven. Learn what steps to take to get these appliances clean and looking brand new for the spring! 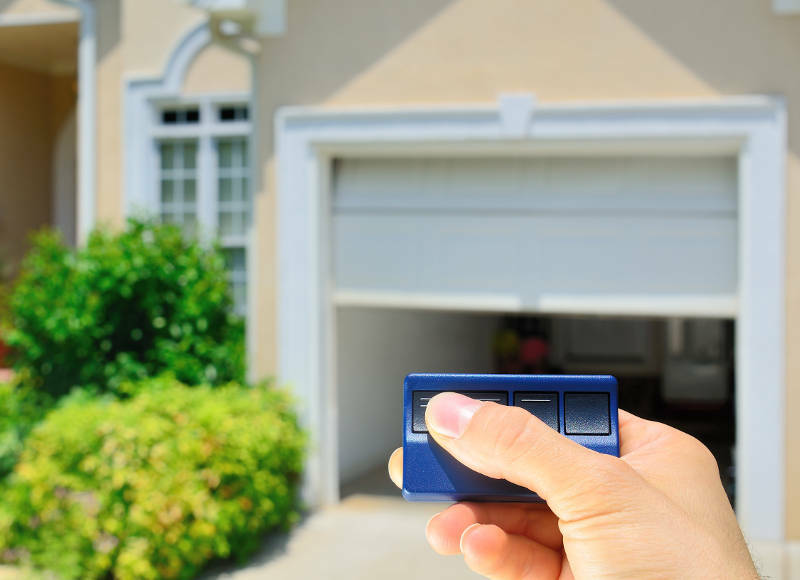 It isn’t easy to find the right garage door opener. There are many styles and options available. We’ll help with our guide to everything you need to know about garage door openers. 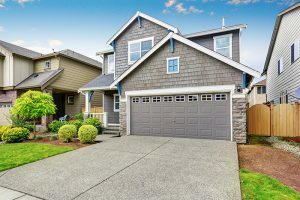 Learn everything you can about replacing your Chicago garage door. Vinyl vs. Wood Siding – What Siding is Best? 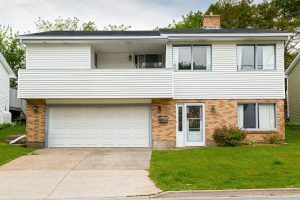 Vinyl siding or wood siding? 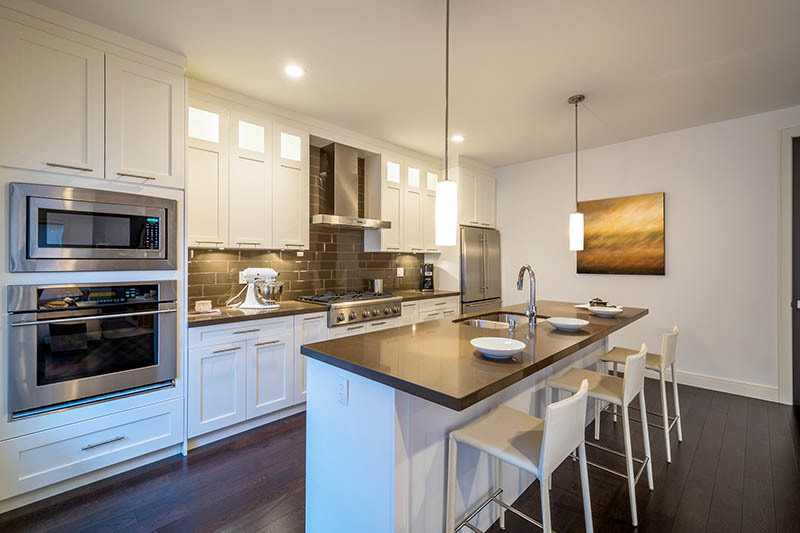 Which is better for your home in Chicago? 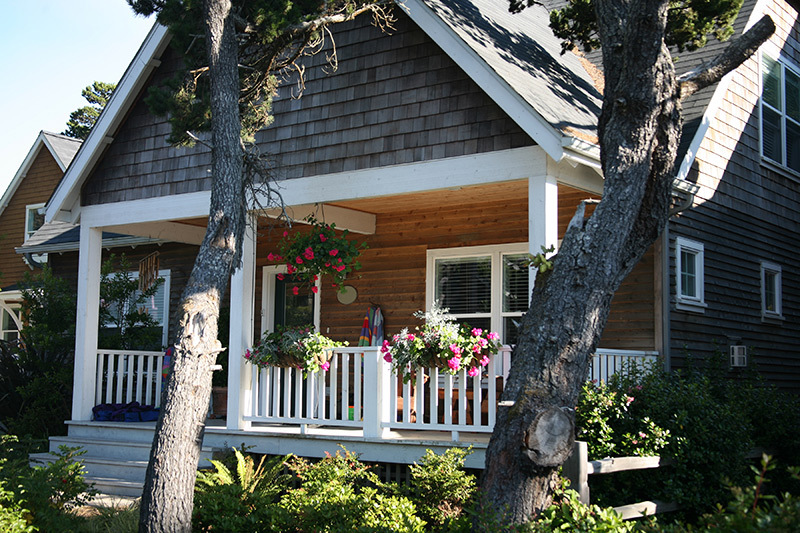 We answer your questions and show you the pros and cons of both vinyl and wood siding options. You can learn a lot about Chicago through its architecture, especially the doors. Many have a rich history and interesting stories that go along with them. Read our list of 10 famous doors from around Chicago you should check out. 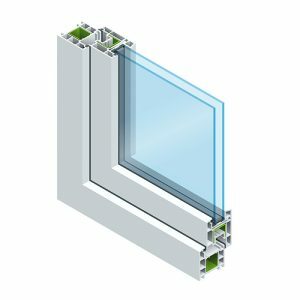 In the market for replacement windows in Chicago? We’ve put together a helpful buyer’s guide that covers everything you need to know before choosing new windows for your Chicago home. Do you love Chicago architecture? 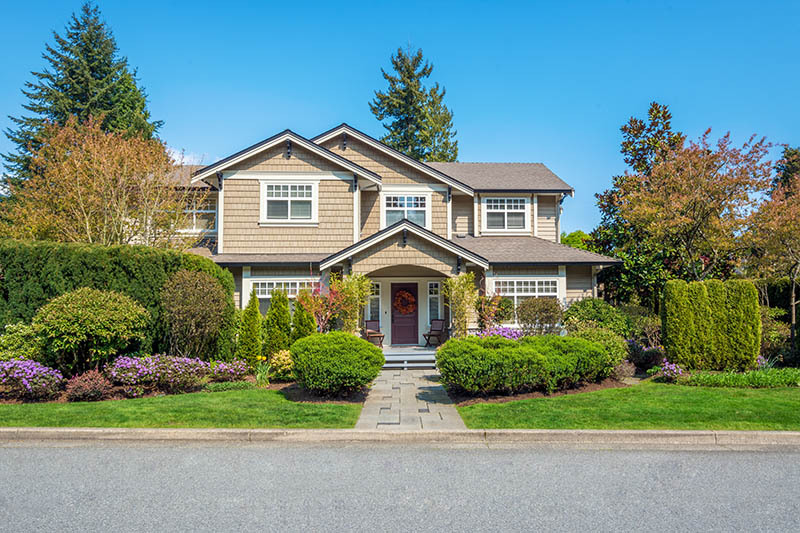 In this article, we go through each of the most common styles of Chicago homes and tell you the best windows that complement each type of home. 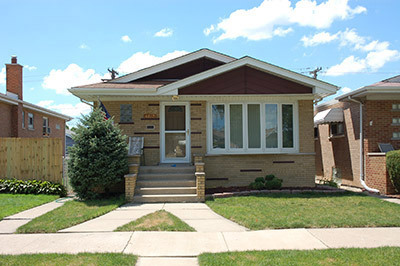 We go over what you should know before replacing windows and doors for your Chicago bungalow.